Are you hooked on dieting? 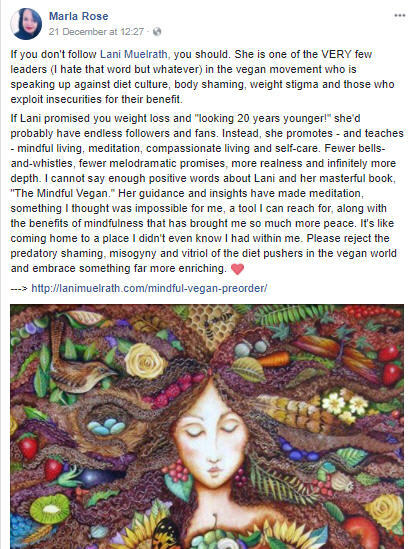 Has an obsession with getting thinner hijacked your eating mentality, ruining your innate wisdom about when to eat? If your days are filled with constant reference to and thinking about anything eat-to-lose-weight related, the question may well be worth examining. Your peace, happiness, health, and sanity may be at stake. 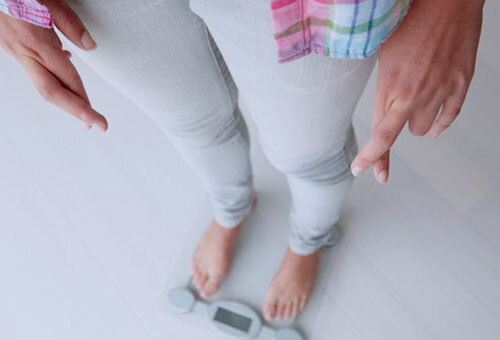 And ironically, you may be making it harder to find your naturally healthy weight. In today’s article we’ll talk about the problems of the dieting lifestyle, weight-loss mentality, and the solution through mindful eating. In my days as a ‘career’ dieter, a preoccupation with food and what I should or shouldn’t eat were ever-present. This is because dieting necessarily demands your undivided attention. Managing, suppressing, and medicating hunger is a full time job. The practice of delaying eating, under eating, and eating-by-the–chart hooks your survival instinct by undermining your basic survival need – the need for food. 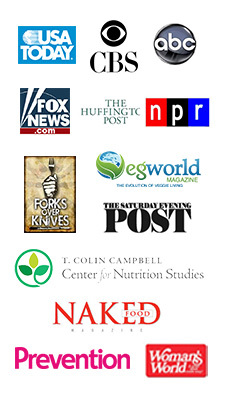 By hijacking the eat-when-hungry process with a rigid dietary plan, we instantly arm a war with our bodies. Once awakened from the trance of weight-loss mentality, I was astonished to realize how much time and energy I had actually invested in this cause. I realized this preoccupation was necessary for keeping hunger and deprivation suppressed. The diet lifestyle necessarily saps vast resources of time, attention and energy. For if you aren’t constantly vigilant about monitoring food and managing hunger, your natural, healthy need for fuel might get the better of you and actually drive you to eat something. Is time and energy better utilized elsewhere? We have become a culture of diet and weight loss obsession. This is especially true for women, though the number of men affected by this cultural phenomenon might surprise you. We are collectively hooked on rapid weight loss and an infatuation with being thinner. Compulsively analyzing every bite, and often claiming to be food addicts when our hunger necessarily overcomes our unnatural restraint. This preoccupation displaces a deeper and lasting resolution to what causes food, eating, and weight problems in the first place. It is covered over with and exacerbated by the shame that is perpetuated in a design to hook our craving to be thinner, or smaller, and apparently thus liberated from our pain. For those who may recognize themselves even a little via my transparency, I invite you to stand back and take a look at how compelled and obsessed you may have become with the details of your diet. To what degree are you looking at food and eating through the lens of how you can get the thinner, faster? Let it be cause for reevaluating your approach to food, eating, and your body. I honor the privacy of my clients, yet you would be astonished to see, perhaps, how many of them come to me because they have become so beat up by the weight loss business, even within the plant-based realm. Hungry, depressed from the obsession it takes to stay so strict in food choices, and discouraged because they felt trapped in a downward spiral of obsession and mental and physical discomfort, let alone hunger, their resolve eventually stretched to the point of snapping. That’s what happens when we try to override our body’s natural hunger signals with imposed timing or forced strictness on food flavors or variety. One recent client even found herself unable to break a compulsion to checking her weight loss group feed online during a trip to Europe until her husband confronted her about it. These people can be mistakenly labeled as addicts in a culture that rallies everything around the tools of thinner, faster. Tricks such as eliminate variety. Or don’t eat anything calorific until you have filled yourself to the brim with a salad bigger than the size of your head. If it sounds like I am a bit angry, it’s because I am. I was led for years, decades even, down the promise-path of finding my fantasy (thin) weight through dietary controls that were enforced from the viewpoint of reduced calories (which they all are) in one form or another. I kept forgetting – over and over again – that the weight I lost by forcing it off, and enduring hunger by being obsessed with the diet lifestyle, came back – with interest – once I couldn’t take the monotony, sadness of obsession, and hunger any more. 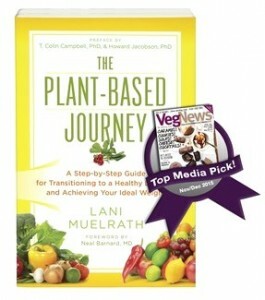 It wasn’t until I took up a mindfulness practice (see My Watershed Moment on page 24 in The MIndful Vegan and in this article at nutritionstudies.org) that I was able to extract myself from the claws of Big Diet and restore a healthy, happy relationship with food, eating, and my body. Ironically, it also shifted my body down about forty pounds from my highest weight twenty years ago, sustained to this day. Not because I was seeking weight loss, but because I intentionally let go of a focus on weight loss in favor of living mindfully with food, eating, and everything else. I gave up undereating, which ended overeating. I gave up any quest for reaching my fantasy weight – a quest that I discovered only came with the promise of starting the war up with my body once again – because it had nothing to do with my naturally healthy weight. Don’t get me wrong. If you have found a plant-sourced food plan that allows you to live healthfully and happily, and a preoccupation with food and eating either aren’t an issue for you or you don’t mind them, it is not my intention to sway you from your path. It’s just that I see so many suffering needlessly, at the end of their physical and emotional rope, because they are trying to fit into a body ideal and subject their body to deprivation and their minds to preoccupation to get it. If this sounds like something you’d like to find out how to extract yourself from, then read on. You may be wondering how to know if you are experiencing what can feel like an addiction to dieting. And you may be thinking, “I am not on a diet, I am eating healthfully”. Maybe. But you may be seduced by promises of weight loss into a sense that restrictive eating and cutting out variety and flavor is the right thing to do. That it will result in you becoming thin. Maybe it will. For awhile. Here are some signs of that you may be hooked on the dieting experience. Even if all of these are not true for you, you may identify with enough of them to consider another approach. Plant-based nutrition and veganism at their best embrace the pairing of consideration for the health of our planet and our bodies with a pure joy of eating. The delight of tastes and satisfaction from a wide variety of plant-sourced foods is meant to be embraced. 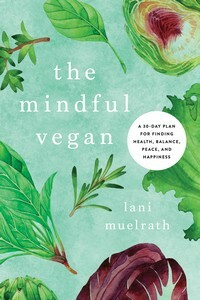 Joined with mindful eating – which includes being mindful of where the food on our plate comes from, how it affects our planet, and how it affects those with which we share our planet with – it also includes the very important task of being good animals ourselves. By tuning in to our natural hunger signals – and meeting this need when it arises by eating well – you have the basic tools for liberation from cravings, punitive eating, roaring hunger, and the key out of food jail. But don’t take my word for it. If you’d like to live your life another way – without the preoccupations necessitated by weight-loss-at-all-costs thinking and in a way that supports realizing your naturally healthy body and weight – here are some simple guidelines. 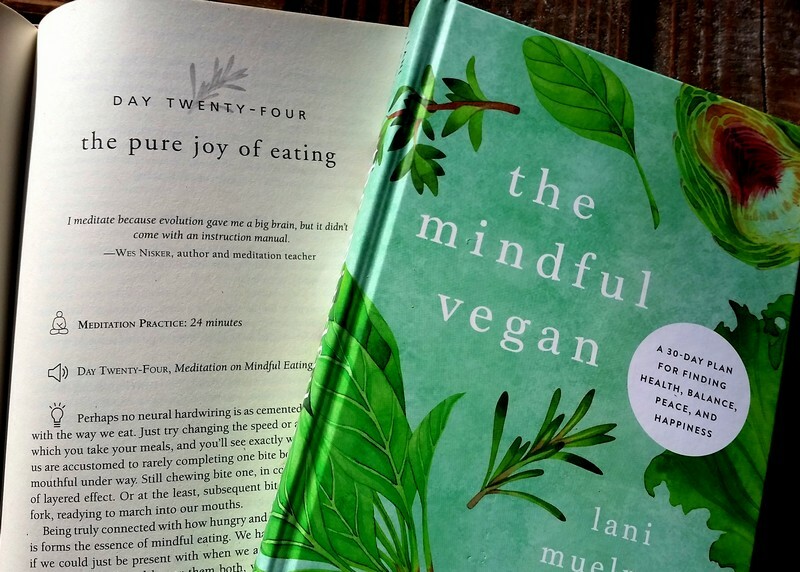 Love your body, feed it well, and find your way out of shame by practicing mindful eating. Become mindful of and honor your body’s hunger signals by eating on time with quality plant-sourced food, predominantly minimally processed. Cultivate kindness and patience toward yourself. Examine any compulsion to dieting and her cohorts that may have woven themselves into a mental hardwire. Mindful eating includes cultivating the ability to recognize and eat when you are hungry, stop when you have had enough, and choose foods that are nutritious and enjoyable. This simple approach encompasses mindful eating in all its aspects: Mindfulness of our environment and the precious use of our natural resources, through plant-sourced nutrition. Mindfulness of the welfare and social justice to the beings with which we share our environment. And mindfulness of our health. With these two elements as your guide, you dethrone the Big Diet royalty. You reclaim your health, happiness, sanity, and naturally healthy body and weight. This just in from reader Jana. On a recent cruise holiday, Jana embraced eating mindfully vegan by paying attention to her hunger and fullness signals, and responding to them on time with predominantly high quality plant-sourced foods. I was just listening to your Fabulous Over Forty presentation and there was something in there that resonated with me. Something that I believe I experienced recently. Something that you talk about in The Mindful Vegan book. You may remember that I left on a three week vacation which included a two week cruise in the middle the meditations in The Mindful Vegan. Lo and behold, I get home from the cruise and I’m under 190 for the first time in decades. I’ve lost ten pounds on this ship of boundless food! I think the reason was because I never let myself go hungry. There was always food available…yes, vegan with minimal effort! I ate all I wanted whenever I wanted it. I really don’t like the feeling of being over full, and not letting myself go hungry made it easy not to overeat. I even ate (for me) “noncompliant” cookies and tasted a few desserts but if they weren’t wonderful, I didn’t finish them and had no problem eating only the fruit in a pie and leaving the cr^p behind. I ate more rich food than usual but obviously it didn’t effect my weight. I ate a lot of fruit! More soy milk than ever as almond milk wasn’t available. I was not seeking to lose weight, and I would have been happy to have gotten home with no weight gain. But to see that scale drop under 190 on my 5’9” frame, I was tickled pink. I didn’t quite know what to attribute it to until I heard you again this morning and realized, just like you say, that it was a matter of never going hungry, never feeling deprived, and so never over eating, which for me means frequency not quantity at one sitting. Eye opening. Now I need to bring that home and replicate that here where I don’t have a ship of chefs at my disposal! I’m good at batch cooking but I don’t think that’s all I need, I need to add more variety in what I have available. As always, I invite you to share your thoughts and questions in comments below. Please share your thoughts, comments, or questions here. Love this and so glad to see this article today. It’s insane, the diet push and as you say, we always forget! But ads and the promotions are incessant. thank you for being the voice of reason and happiness. Janet, I so appreciate you stopping for a minute to comment. The push of diet mentality can be quite the tidal wave to stand against. I am glad that this article has provided you with some edification! Particularly pertinent as the New Year approaches and we fall into the trap of “New Years Resolutions”. Will I succeed? So much pressure not to fail! You really simplified it all here. Thanks for your wisdom Lani. Mary, you’re right the pressure is a whole other element that gets tossed in! Thanks for adding to the conversation!